Life is not just about singing and skyping – there is also business to conduct, research results to present, events to hold. With all of it comes the need to organize conferences and this is when you may think of acquiring a reliable quality microphone. The mic should be able to pick up everybody’s voices and cancel out noises. 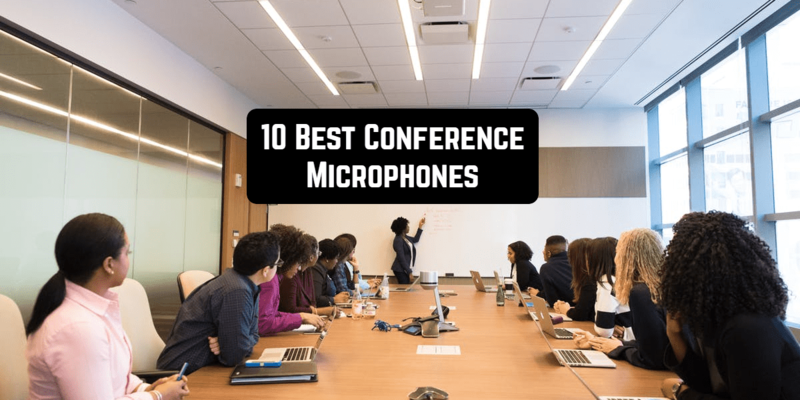 The list below contains the best conference microphones. A boundary microphone is the simplest solution for making it loud – because neither business nor science should be boring! You have probably seen such microphones in business centers or in the movies. The one you can see in the picture is a 10-inch long mic that catches voices of everyone in the room. It has a simple USB connection that works both with Mac and PC. MXL AC404 can pick up sounds that come from sources 25 feet far from it. The red light under the metal mesh indicates that the mic is on. The device delivers superior sound quality, even in noisy environments. 30 people won’t be able to make noise big enough to crash a Skype or a hangouts call carried out using this hardware. In fact, thanks to MXL AC404, any location that has walls and ceiling can be turned into a conference room. 3 capsule boundary design makes positioning and reverberation easier – these are still important regardless of the room you are planning to use the device in. Some old USB ports don’t provide enough phantom power, so if the mic doesn’t seem to be working, try connecting it to another USB port, a newer one. Built-in headphone/speaker monitoring jack is a great feature as well, but keep in mind that neither headphones nor speakers are included in the package. The package includes only 6 ft USB cable, that headphone jack, and a leather-style carrying case. You won’t experience any latency when testing the device. A competitive model from Samson, UB1 offers plug-and-play operation both on Mac OS and Windows. 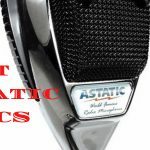 16-Bit, 44.1- 48kHz sample rates and omnidirectional pickup pattern are a golden standard for this kind of microphones. The UB1 comes with Cakewalk Sonar LE workstation software. 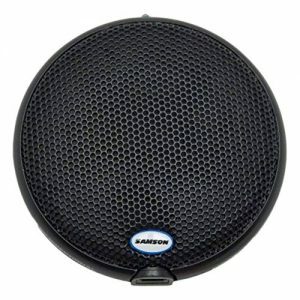 The solid zinc body and sturdy metal mesh make the UB1 a reliable tool for conference rooms, courtrooms, and all other kinds of rooms that require high-quality sound. The microphone is simple and easy to use and therefore perfectly suits non-professionals. It works well with self-powered USB extension cables. A 10-foot one is included in the package. This is an old model, though, which first appeared in October 2011. MXL AC-424 is a boundary mic that is wireless. Just like the AC-404 above, this model offers a wide pick-up area that accurately captures sound in your conference room. One more common feature these two models share is a three-capsule layout with that 180-degree pickup pattern. And, by the way, you may like the fact that 25 ft. range is available here as well. Many reviewers of the MXL AC-424 write that it is so good it works even in the corner. Top-of-the-line it is! Of course, the AC-424 is compatible both with PC and Mac. As shown in the pic, the model features a backlit mute button for occasional private remarks. The mic remains muted until you press the button again. There is a headphone jack here too which allows you to hold private online conferences. The only drawback is that since AC-424 works in large spaces, it is not 100% echo-proof. 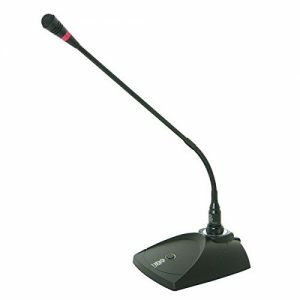 If you are convinced that a microphone must be as close to the speaker as possible, you will probably find gooseneck mics most suitable options for conference-holding. If you think this article is sponsored by MXL, it is not. It is just that the company really does produce good quality goosenecks. 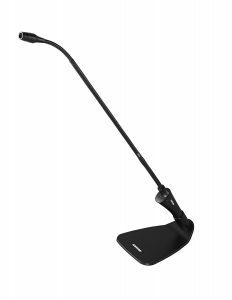 MXL AC-400 features flexible 15” gooseneck that a speaker can adjust to her face. An individual mute button helps speakers resist interfering. This is excellent hardware for offices and conference rooms. 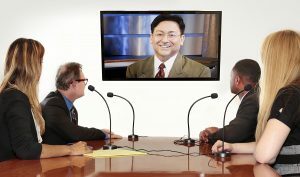 There are three easily connectable AC-40EXT mics, which lets each conference member have their own microphone with their own mute switch. At first, you may presume that the “gooseneck” name stands for a microphone design that is far from elegant. However, it is not the case for MXL AC-400. 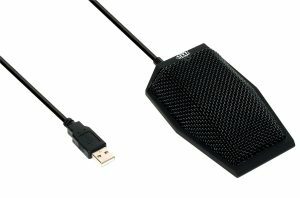 With its solid metal construction, the mic represents a very good-looking apparatus that will fit any conference room. 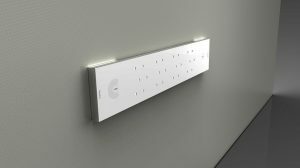 The model can be connected to a power source through USB. It definitely deserves its position on this list! The significant difference between boundary mics and gooseneck ones is that in the case with the latter category you need quite a few of them. This could be quite expensive. The best way to save up your money is to buy Pyle Home PDMIKC5. Its numerous features are no worse than those in the MXL model. The gooseneck is adjustable. Rugged metal tube and PVC plastic amount to a pretty good design. The on/off switch or just a mute button, if you like, is also there. Microphone sensitivity is big enough -40dB (+/-)2dB. Cardioid pickup pattern cancels out off-axis sounds. The power supply comes from a 9-Volt battery. Frequency response is 40Hz~16kHz, but it is not really important for a conference anyway. What else? The sound is mono, not stereo. The mic does not work without a battery. If you put a battery in the wrong position, you’ll immediately fry the preamp – so be careful! If you forget to switch the mic off, the battery will naturally drain. As for the rest, the mic is wonderful! Shure CVG18-B/C is a top model that has a CommShield shielding technology. It sounds very cool and saves people’s ears from the commonly hated RF interference that comes from cell phones and other devices. The cardioid polar pattern picks up clean and precise response. Frequency response is perfect for capturing fast transients in all locations, but especially on the ordinary podiums and desktops. The model has a superior rugged and reliable design. The base prevents all the shaking and bending but it is sold separately. This mic requires 48v phantom power. B for black, C for cardioid – so now you know that the model’s name is short and easy to remember. When people want to use microphones, they tend to bend down to them. However, sometimes we forget to bend down or feel the need to stand up or, maybe, have lots of papers to deal with that can cover the microphones. In all these cases, it would be more convenient to use a ceiling mic. 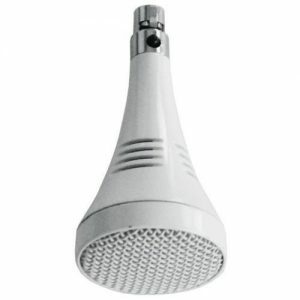 The smallest ceiling microphones of a good quality is a ClearOne 910-001-013 condenser mic. This one 1,5″ “showerhead” contains 3 wide-range mics behind one metal grill. They have a 114 dB sensitivity. With a 3.3″ height, it does not look like a scary UFO in the sky. Phantom power unit is included in the package. The “showerhead” above is OK, but it is not a perfect solution. Polycom 2200-23809-001 is way better at providing the 360-degree voice pickup. In fact, the manufacturer promises “2,800 square feet of voice coverage”. Conference halls are usually a bit smaller than that. 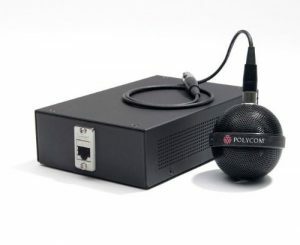 This model is compatible with the Polycom HDX video systems and Polycom Sound Structure, which is good to know in case you like playing with your hardware. Microphone arrays are actually those same ceiling microphones – it is only that they have jumbo sizes and look really cool. They look like technologies from the future. No boring metal grills that have been around for years. To put it simply, this is a board covered with 24 microphone elements. These 24 microphones comprise beamforming and adaptive steering technology. An already perfect sound is improved by next-generation acoustic echo cancellation. The array works with Converge Pro 840 and 880 series mixers through a G-Link expansion port. A huge disadvantage is the price. Plus, it would take some time to install and set up this mic. 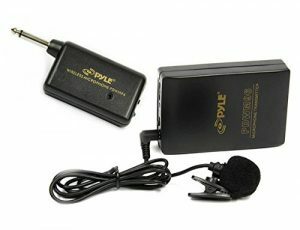 The cheapest solution for those who like walking around while talking is lavalier microphones. Their descriptions don’t include the word conference in them and some would even call these devices outdated, but anyways. This thing is not attached to anything – only to the speaker. 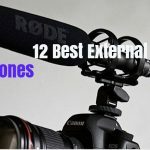 It consists of a bodypack transmitter and a lavalier microphone. A receiver has a 1/4” plug. Volume controls and super compact design come in handy in closed spaces. Operation range of up 60 ft is enough for most conference halls. Naturally, the microphone is not powered from the grid as it comes with 9V x 1 battery for belt pack transmitter and an AA x 1 for the ¼” wireless transmitter. The disadvantage of this option is that every time you will have to spend some time to set up this mic.